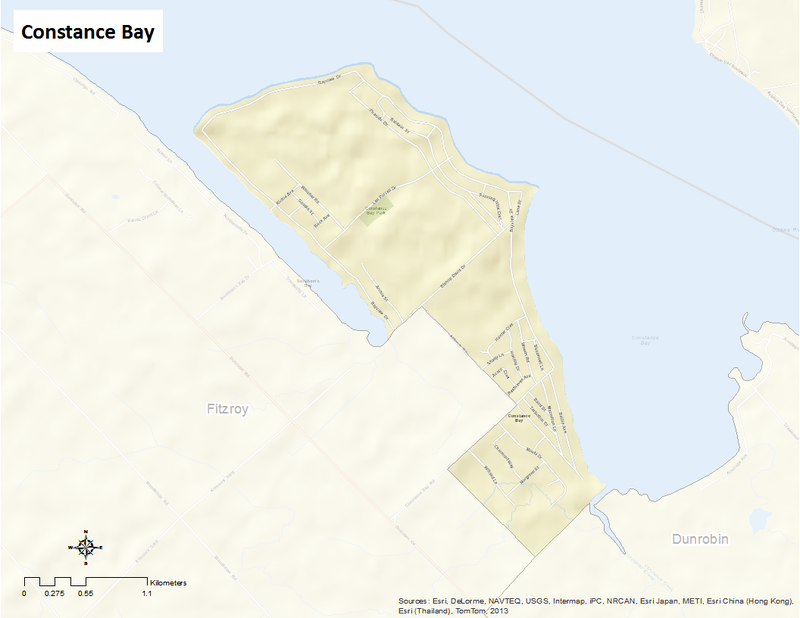 Constance Bay was named by French Fur Traders after Simon Constant who was a member of the Algonquin First Nation and who was in the area before white settlers arrived. The neighbourhood consists of about 30% cottage/seasonal housing; 70% year round. The community surrounds the Torbolton Forest (a 147 Hectare managed green space and home to rare plant life, animals and birds) and Buckham’s Bay along the Ottawa River. Here’s an infographic that describes the neighbourhood as a Village of 100 (2011 data).